Being Steve Job’s fans, we make iPhone apps for Steve Job’s fans and for those users to whom iOS smartphone is an apple of their eye. We are an iPhone app development company in India since an iPhone was opened for apps. This has puffed-in a power of confidence in us to stay motivated forever. 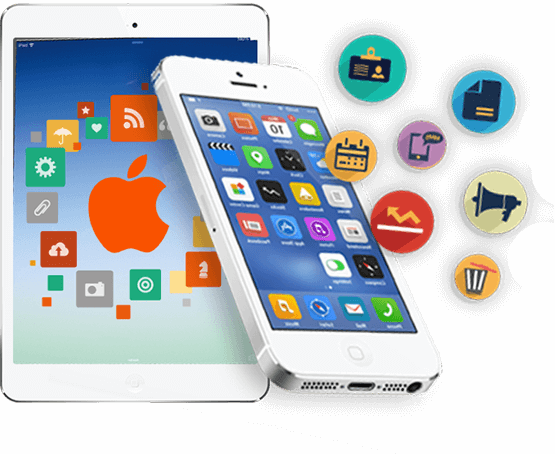 We identify the future app problems from the beginning of any iPhone app development project and don’t let them hinder any part of the process. Because we don’t like you departing from your customers; as Steve said that creativity is connecting things, we decided to connect you to your customers with amazing apps. Look, an iPhone is not created to bore people, why an iPhone app must gulp that guilt? So, our iPhone apps are pronounced as highly scalable, interactive and secure. Knowing how much an app experience is momentous for users, profits are important for clients and how apps are used to facilitate daily work operations, our app solutions decided to meet the requirements of every defined class of users. Windows Azure is a most preferred, open and flexible cloud platform which provides an ease of working on the global network. Giving a shape to your project idea by implementing the latest technologies and innovations. We develop custom-made iPhone / iPad Apps that brings high user engagement rate and offers great scalability. Our iOS App Development team develops apps that are compatible with all iOS devices and offers high-functionality. We design an early model or layout to test the feasibility of the project and also to incorporate the more valuable perspective of the client. After deciding the basic layout we start adding and implementing the animations and interactions by utilizing prototyping apps like Framer, Origami, etc. Our coders are passionate developers who just know well, when where and how to give a twist to the design in order to achieve the client’s expectations. Our developers get themselves trained in diverse languages to enhance the productivity of your project and helps you meet your customers’ expectations. We value the time, thus never fail to deliver our quality product to our client on time. Our company involves the clients at every stage of development, to have transparency and minimum error. Thus, we save our time as we reduce risk at the initial stages of development.